Tweet Oh no, another actor trying to be a musician. Hey wait a minute, this actor happened to win an Academy Award playing a musician, he was a musician before he was an actor. 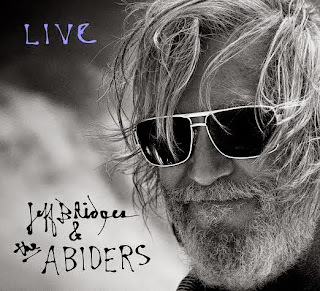 “Jeff Bridges & The Abiders Live” is the third album Jeff Bridges has put out and his first live album. Maybe he is qualified. I don’t own nor had I heard any of Bridge’s previous album. A large reason for this is that its easy for music to fall through the cracks on an individual basis this day and age and while I knew he was a musician I missed the fact that he had an album out, let alone two. While Bridges last album (2011) fell the through the cracks for me, it landed at #2 on the Fold Album Chart, #5 on the Rock Album Chart, and #10 on the Country Album Chart. I’m writing this review to hopefully help the live album “Jeff Bridges & The Abiders Live” reach a few more people than it normally would have. There are two very big reasons to buy “Jeff Bridges & The Abiders Live.” 1) Any respectable “Big Lebowski” fan needs this for their “Lebowski” collection. Collection? You ask. You’re not a respectable “Lebowski” fan if you don’t have a collection of some sort. 2) It’s actually good. I don’t know how Jeff Bridges is as a song writer, but he’s got as good a voice as anybody in country music as far as I'm concerned. I’m more of a metal head, but I dabble in southern rock, folk music and a tiny bit of country and this album satisfies that part of my musical taste. The band is tight and flawless. I love a live album where I feel like I’m there. So many live albums are practically studio albums and they may or may not have tightened this album up in the studio, but I can’t tell and that makes for a really good live album. I really love Bridges voice. He knows his range and he stays in there to perfection. I enjoyed the whole album but I particularly liked the last two songs "So You Want to be a Rock n Roll Star" and "Somebody Else." Bridges really lets loose on those two. The album features songs off of his self titled album from 2011 along with original music from the “Crazy Heart,” (Bridge’s Academy Award winning film). Jeff Bridges and The Abiders also cover a few songs from The Byrds, Tom Waits and Creedence Clearwater Revival which I’m sure will make every “Lebowski” fan happy. Most importantly there aren’t any The Eagles cover songs :). 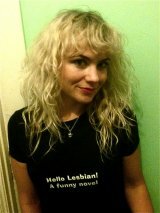 If The Abiders ever come around my neck of the woods I’m going to be there in a heart beat. Go pick up “Jeff Bridges and The Abiders,” I promise you’ll enjoy it.